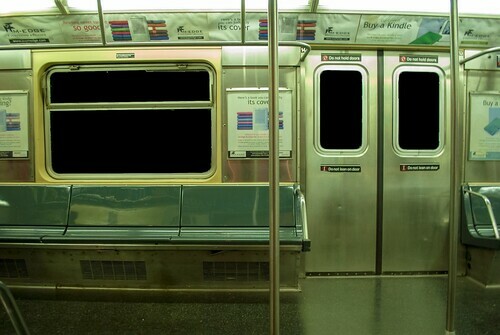 Using a MIDI keyboard as an interactive interface, and Isadora to program the projection, this installation allows you to have a seat and take a trip through time in the historic New York subway system. After visiting the Transit museum I took a few photographs at the angle which you would see when sitting inside the train. 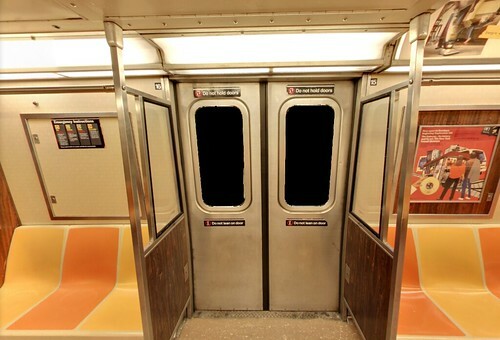 I then photoshopped the windows to be see through so I could bring those files into Isadora and project archival footage street and underground scenes as though it were happening out the windows. 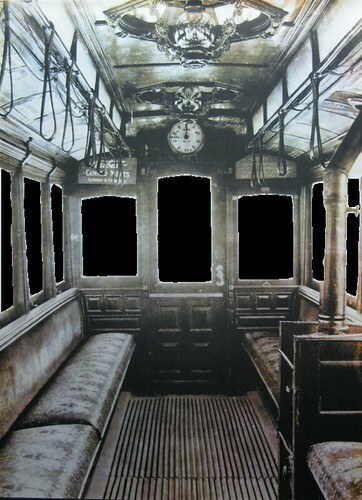 A photograph of a photograph of the inside of Brooklyn’s above ground trolly cars, circa 1880’s. 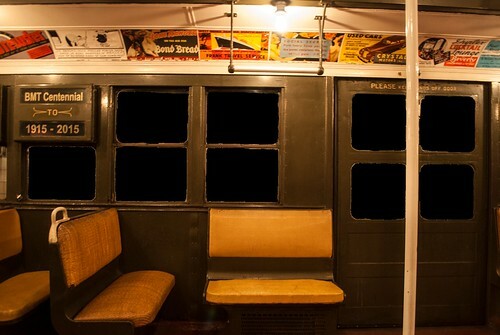 Inside of a 1950’s era subway. 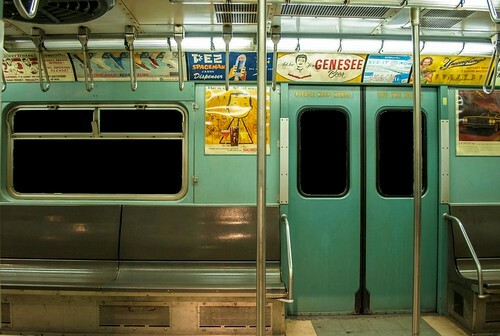 Subway car with a 1970’s era interior — still in use today!